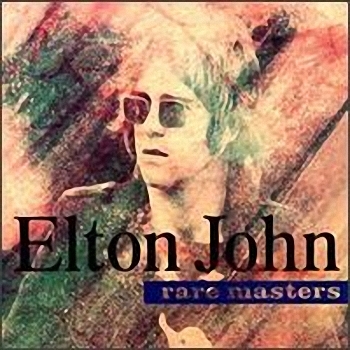 O the CD linear notes of this package of rare material, there are ongoing interviews with Bernie Taupin, Elton's key lyricist. He states that when selecting songs to be released as singles, they would never choose an album track for the B-side. The reason he gives is that by putting a song on a B-side, it meant they didn't have faith in the particular song. Instead they would use a song that wasn't "good enough" to be on the album. Conclusively, we then gather that what this double disc actually is, is a release of material that was never "good enough". That is precisely what we have here. Although diehard fans will love this one for their collections, this is not something any casual buyer would want. It is a double CD, so it's definitely not short on volume. There are no original album tracks, although there are alternative versions to several songs, none as good as the original. On the bright side, there is the entire Friends soundtrack not available anywhere else. There's also Elton's Christmas song Step Into Christmas which still gets airplay on radio stations during the Yule season. Several of the material is also included on his box set. The tracks go through the year 1974. I'm guessing most fans aren't really wanting a "volume 2" anytime soon.